* Virgin Island Water is a vacation in a jar. The long lasting top notes of coconut, lime, and orange smell like a beachside cocktail. * Usually citrus top notes burn off really quickly, but the lime and orange last throughout most of the fragrance. * Unless you pay attention and sniff yourself often, VIW seems very linear as in the top notes stay around for the full life of the fragrance. * If you sniff closely, some ginger, spices and light florals enter in mid-development for a short while. * The deep base notes of vanilla and musk join the coconut which stays around forever. * While most vacations are over too quickly, Virgin Island Water lasts more than 8 hours. Summary: Virgin Island Water is strong, but not overpowering. It makes its presence known but is not so overwhelming as to be too much for warm weather wear. If you are a fan of the classic Creed fragrance, this may not be to your liking. It is more similar to the fresher/fruitier Creed fragrances like Aventus. Although I have never smelled it, several people have mentioned that Virgin Island Water is identical to Bath and Body Works Coconut Lime Verbena (which has been discontinued). I can’t comment on that, but I can say that Virgin Island Water is one of the few fragrances that I have used up a full 4oz bottle of and went back to buy another bottle of. 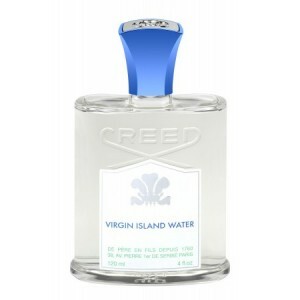 For summer weather and hot climates, Virgin Island Water is an excellent choice and worth testing. Creed fragrances are available from Neiman Marcus, select Nordstrom and the Creed Boutique. If you live in South Florida, I strongly recommend that you reach out to Eduardo, the Creed representative at the Bal Harbour Neiman Marcus. If you live in Nashville, Byron at Green Hills Nordstrom is quite exceptional as well. *Disclaimer – No disclaimer needed, I own a full bottle. This sounds wonderful. It’s on my to-try list now. VIW is the first “niche” fragrance that I bought. I was at a Neiman Marcus in Bal Harbour during Winter Music Conference probably 5 years ago. I saw all the bottles and was sniffing them all. It struck me as a great “vacation” scent. I’ve used up a full 4oz bottle and restocked with a flacon. VIW is a very “easy to wear” fragrance that always brings a smile to my face. Virgin Island Water is kinda amazing.. for me to go through 4oz of anything tells you something. Another Creed you should try is Selection Verte.